I am still adjusting to getting up early. I have class at 8am and that used to be my normal wake-up time for work (I know, rough life I have had). Now I am getting up at 6:30am, or sometimes 5:15am if I want to hit the gym (a 5:45am spin class) before school. It sounds awful, but I actually enjoy exercising that early. Mainly for a few reasons: 1-the gym isn't crowded, 2-I get my workout done for the day 3-it wakes me up and I feel great throughout the day. If you haven't tried working out in the AM, I suggest giving it a whirl. After this week, I should be adjusted to the early morning hours. At least I hope. Today was inspiration as I waited at the finish line for my boyfriend Tim to finish up his 1st half-marathon along with his buddy Rick. So proud! It was inspirational to watch all those that completed it. From really young, to older, handicapped and blind. I have a year to prepare for next year. I may be adding a 1/2 to my bucket list. I have sent out my New Year's cards finally and in my included note I put that I was going to update my blog more often. So far, I am holding myself to it! Here are a couple pictures and some links to articles I have posted on my Facebook page. My Christmas Card! You can find these awesome shirts made by the Jack Morton Foundation, here. 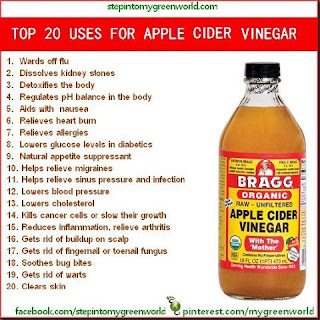 Did you know about Apple Cider Vinegar? I have some in my fridge. 1 Tablespoon a day! Here's a discussion about Coconut Oil and how you should use it in place of vegetable or canola oil! It's interesting! That's all for this installment friends! Hope your January is going great! I have begun using coconut oil in my stir fries and it adds a unique flavor as well.